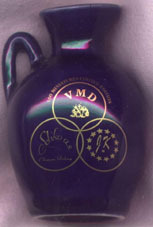 This dedicated jug was published for the 10th anniversary of the German mini bottle collector club (1989–1999). This special series is limited to 100 pieces. 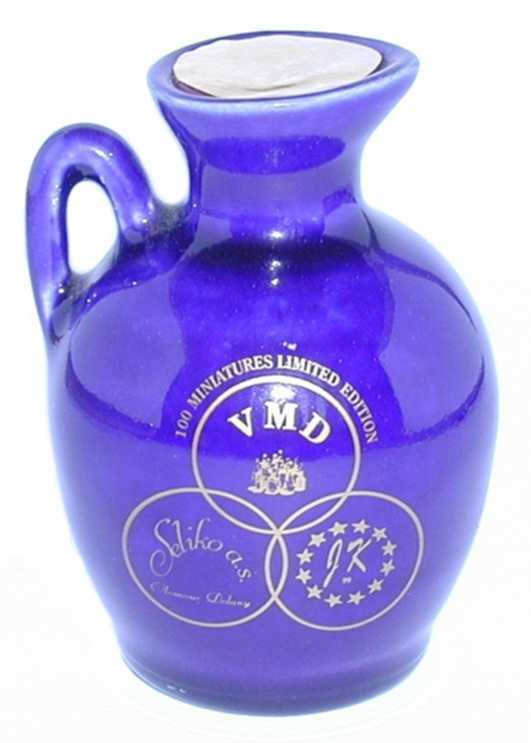 The new dark blue ceramic bottle is of the jug shape with a small handle. The front label – „10 JAHRE“ (or 10 years) – was composed in German and English to mark the anniversary (image on the left). The surrounding text is the full name of the club in German. 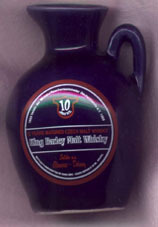 The backside label in gold shows the symbols of the club, distillery and the producer. 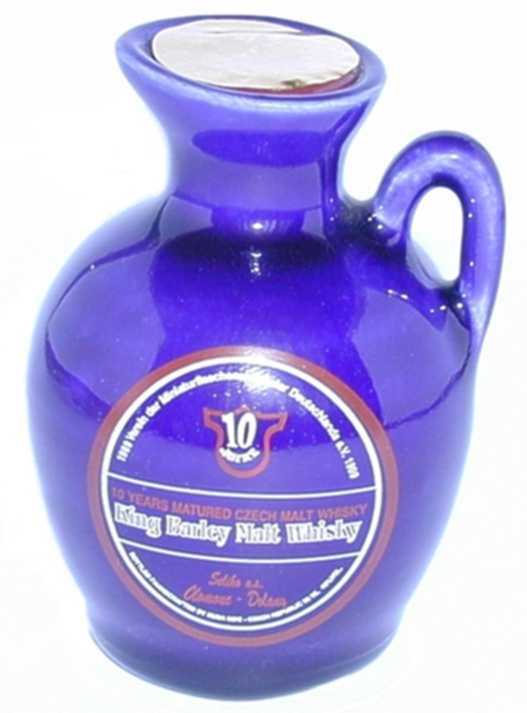 The bottles contain the 10 years matured King Barley Malt Whisky – as the age of the club – that is produced by Seliko Olomouc, Dolany, Czech Republic.